Traversing the different tollways in Luzon will soon be seamless and faster as toll operators in Luzon agreed to an interoperable and integrated toll collection system, the Department of Transportation (DOTr) announced on September 6. This means drivers using electronic tags to pay for toll fees can use one electronic card issued by one toll operator in any Luzon tollway. Likewise, motorists paying for toll fees in cash and traversing connected toll roads operated by different companies will only need to get a ticket upon entry and pay at their point of exit regardless of which toll roads they used. 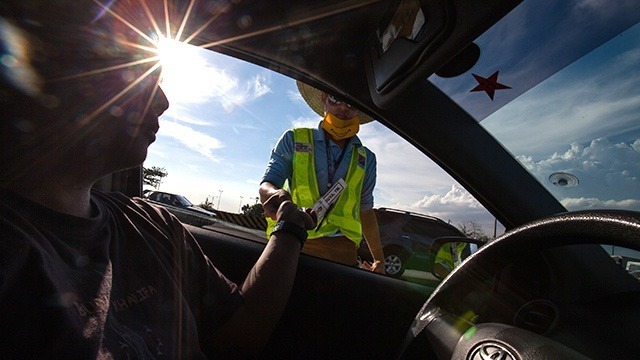 For example, after the completion of the North Luzon Expressway (NLEX) and South Luzon Expressway (SLEX) connector roads, drivers will only use the ticket issued at the NLEX entry point and pay upon exit at SLEX, or vice versa. 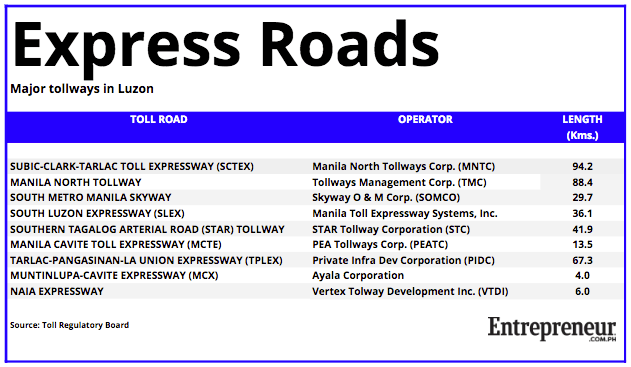 There are at least nine expressways in Metro Manila and Luzon based on Entrepreneur Philippines' count (see list). Currently, motorists plying the different toll roads in the region have to obtain and pay for separate tickets and electronic cards for each toll road operator. “Making our toll systems interoperable will definitely bring a new level of convenience to our motorists, especially during peak seasons,” DOTr secretary Arthur Tugade said in a statement. It will take one year for the full implementation of the interoperability and integration of toll collection as toll operators make adjustments to their collection system. The first phase, covering the electronic toll collection using the Radio Frequency Identification (RFID) technology will take six months to complete. The second phase, which covers the cash payments will be completed in another six months. “Our expressways are managed by different companies. But they have always demonstrated that they are willing to work together and work with the government if that means giving motorists, their customers, a better travel experience,” Tugade said.